Mirrors and reflections play an important role in the development of children. 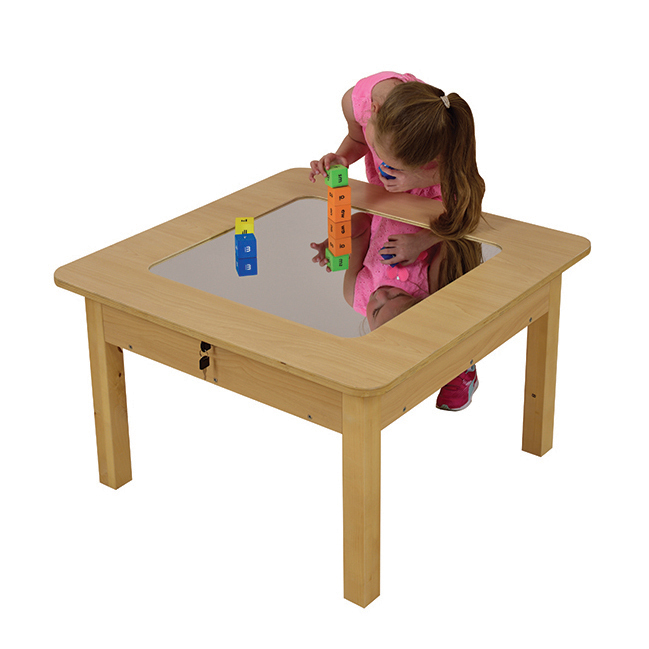 This table mirror is a great resource for your classroom – show children how mirrors reflect light and other objects. Table is manufactured from a combination of plywood, solid birch wood and maple melamine board. Mirror is made from tough and safe acrylic. Supplied flat packed with easy to follow assembly instructions.